CHERRY HILL, NJ, U.S., March 21, 2019 /EINPresswire.com/ — Smith Publicity has announced the winner of their 2019 book marketing scholarship. Addie Harpold of Oak Point, TX has been awarded $1,000, which will be applied to tuition costs at Texas Tech University where Harpold will attend in the fall of 2019 as a freshman. Harpold’s essay, titled "O.J. Simpson, a Kitten, and the Gutenberg Press- the Elements of Persuasive Writing,” blended seemingly disparate topics into a compelling examination of the art of persuasive writing. 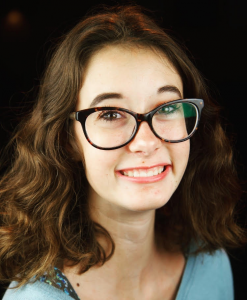 "I'm beyond excited to have won this scholarship because that means I was able to help myself through college doing something that I am very passionate about, and that is writing,” says Harpold. “I was challenged to think outside the box for this essay prompt and I am always enthusiastic about experiences like that. Thank you Smith Publicity!"